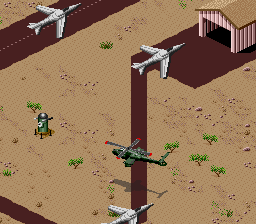 Desert Strike is the first game in Strike series. The plot: General Mubaba (Killbaba in Genesis version) seizes control of an fictional gulf state, instaling himself as a dictator. 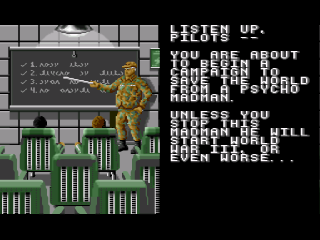 United States sends a single helicopter piloted by player and unnamed co-pilot to stop him. 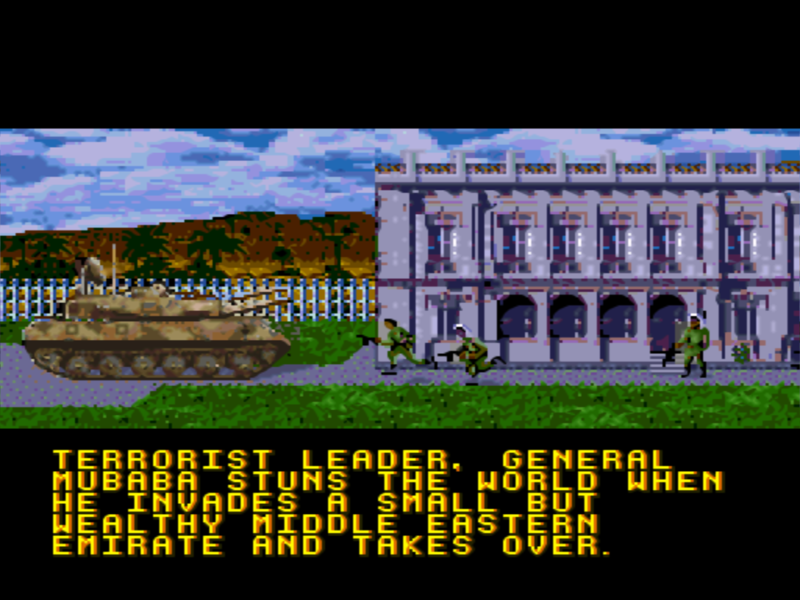 Genre of the game is shoot 'em up,but the game is slower than other shoot 'em ups and is more tactical. 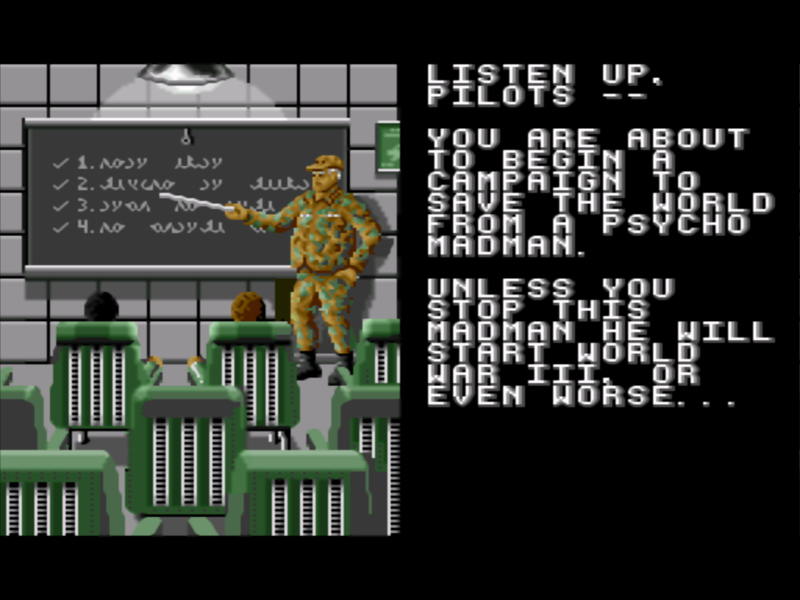 The game consits of four levels, which have several missions to be completed. 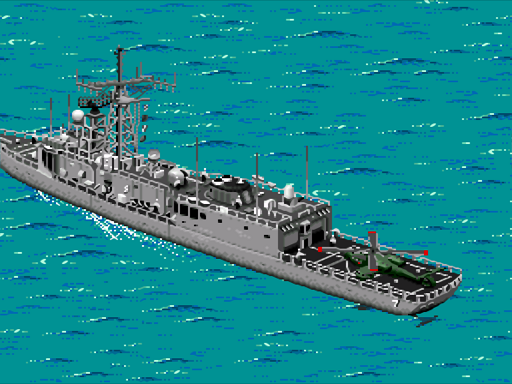 Levels are viewed from an isometric perspective. Usually,missions can be completed in any order you like,with some exceptions. 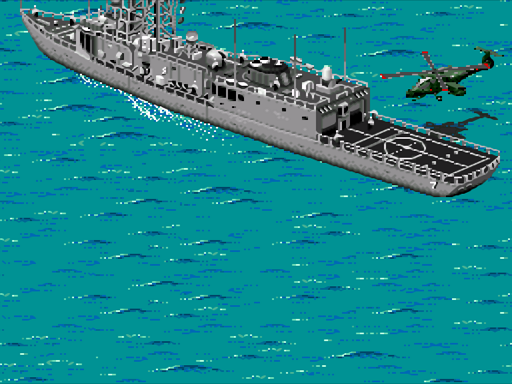 The helicopter have limited armor,fuel and weapon ammo. 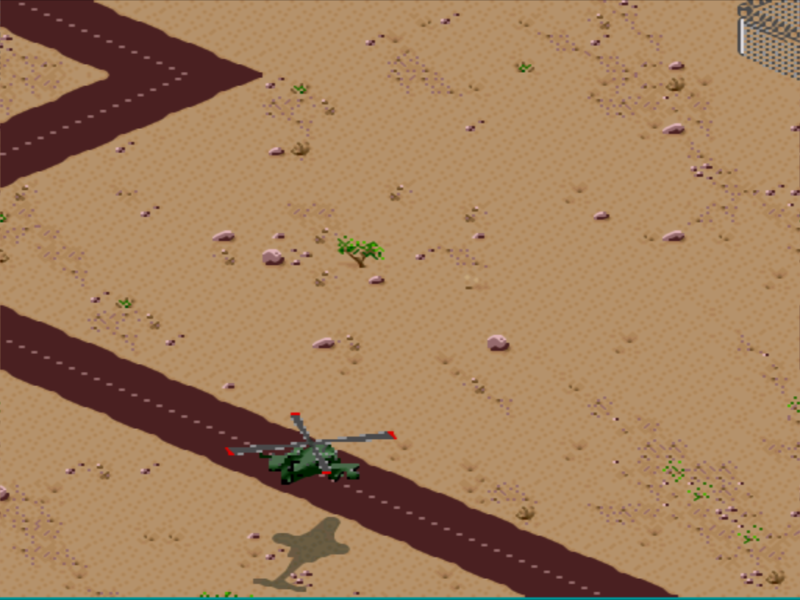 Should armor or fuel reach zero, the helicopter will crash,wasting a life. 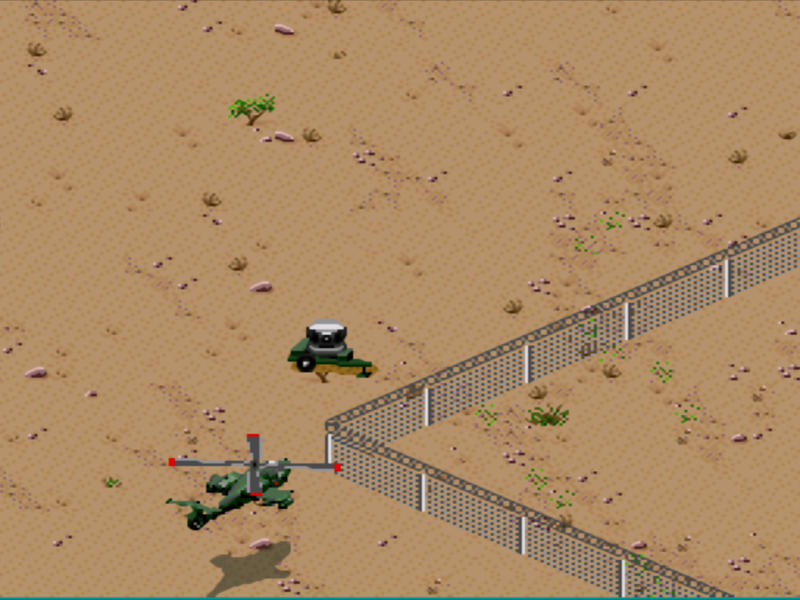 You can refill fuel using fuel barrels, ammo using crates and armor by airlifting prisoners to a landing zone. Overall, it's a fun but tough game. Now you can add videos, screenshots, or other images (cover scans, disc scans, etc.) 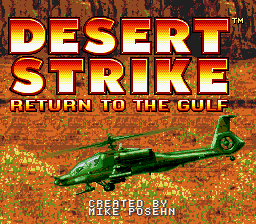 for Desert Strike - Return to the Gulf (Europe) to Emuparadise. Do it now! If you haven't noticed yet, we have a retro game of the day feature (top-right of the screen) wherein we feature a new retro title every single day! Now, you can vote for your favorite games and allow them to have their moment of glory. 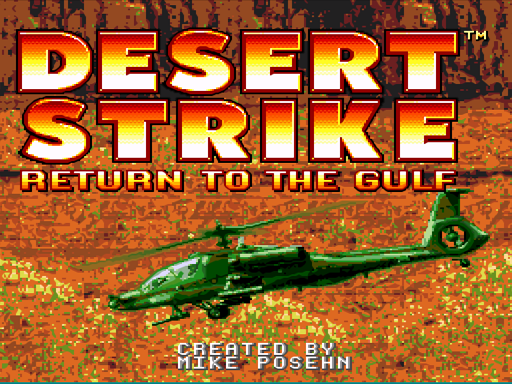 Click on the button below to nominate Desert Strike - Return to the Gulf (Europe) for Retro Game of the Day.